Community Council for Australia CEO David Crosbie shares an extract from his opening statement before the Parliamentary Joint Committee on Intelligence and Security, and why the CCA are concerned the proposed legislation could impose new administrative and compliance requirements on charities. On Tuesday I presented to the Parliamentary Joint Committee on Intelligence and Security in relation to the Foreign Influence Transparency Scheme Bill 2017 and the National Security Legislation Amendment (Espionage and Foreign Interference) Bill 2017. The context for this appearance is the government’s commitment to ensuring that foreign powers do not inappropriately influence Australian elections. Unfortunately, the proposed legislation is drafted so broadly that it will impose very significant new administrative and compliance requirements on any Australian charity that receives donations or has any kind of relationship with someone overseas. I was going to write an article about the bill and CCA’s concerns, but thought it might be more informative to provide an extract from the Hansard proof record of my opening statement to the Committee and a selected set of questions and answers. I hope readers find it of some interest to see how groups like CCA engage in these processes. “Thank you, chair. I welcome the opportunity to present to the committee. I would like to make a very brief opening statement. I should explain that the Community Council for Australia is a peak body for the charities sector. Our role is to try and enhance the work of charities. We are not a union for charities. We don’t think everything that happens in every charity is great. We’re a very broad church. We have on our board the CEOs of World Vision, RSPCA, Musica Viva, Hillsong Church, The Smith Family, Life Without Barriers and Wesley Mission amongst others. Our membership is also very broad. We’re independently funded through membership fees. “Part of our primary work has been trying to create a regulatory environment that enhances rather than restricts the work of charities – which is why I’m here, because it appears to me that this bill is all encompassing for any charity that receives any kind of support or donation from outside of Australia. The bill suggests that any charity in any kind of arrangement with anyone outside of Australia, including donors and supporters, will be required under quite strong laws – jail penalties et cetera – to register, and ignorance of the scheme is explicitly not a defence. The registration process, while it’s not clear, appears quite onerous. I know there are a number of important exemptions, including humanitarian aid, but these are not clearly defined, and I don’t believe that these exemptions cover the vast majority of charities in Australia that receive international philanthropy and support. “If commercial activities are carved out, why aren’t charitable activities? My reading is that, in practice, if an international company like Diageo seeks to influence our alcohol policies, that’s okay. There is no inappropriate influence there. But if the Bill & Melinda Gates Foundation gives money for alcohol research, via the Foundation for Alcohol Research and Education, they would have to register. Extending this view, pharmaceutical companies, mining companies et cetera, don’t have to register or comply, but health groups, environmental groups and others not engaged in humanitarian aid who are in any way involved in public policy would have to register. “I should note at this point that charities already face significant regulations and limitations on their capacity to engage in political activities. A charity cannot support a particular political candidate, cannot support a particular political party, cannot donate to a political party and cannot hand out how-to-vote cards. No such restrictions apply to business or any other vested interest groups. Charities can advocate only for their charitable purpose. “I should also note that the community is very concerned about the amount of money charities spend on administration. It seems to be an ongoing debate in the media. It’s also clear that governments all claim to be committed to reducing red tape. There is no way that this new legislation will not impose significant new administrative costs on any charity that raises funding from anyone overseas. Chair: …you understand the intent, which was to protect our political and governmental processes. The bill explains those processes, which include federal elections, political parties, influencing independent candidates, proceedings of parliament, federal government decisions and decisions of independent MPs. What I’ve heard from you today is that charities aren’t interested in influencing those processes. Is that right? Mr Crosbie: No; charities want to influence those processes in order to have stronger communities. Senator Wong: They’re allowed to do that. Chair: I know; I’m just making it clear. Mr Crosbie: As I said in the opening, I don’t know of a single charity that doesn’t advocate. Mr Crosbie: Advocacy on behalf of their cause or their community is exactly why they were established, why the community support them, why they get donations and why they exist. There seems to me within the bill to be an implication that people speaking up for causes or issues is a problem. That is exactly what makes our democracy strong, and I think we should be encouraging more input from charities, community groups and civil society into the way government shapes policies and makes laws, because then we’ll have better laws and we’ll have stronger communities. Trying to restrict those activities harms our democracy. I think you can make a case that that’s what’s happened in a number of democracies where those voices have been quietened and trust and confidence in democracy have diminished. Chair: Thank you very much. Are there any further questions? About the author: David Crosbie is CEO of the Community Council for Australia. 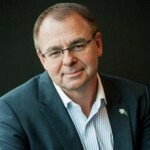 He has spent more than 20 years as CEO of significant charities including five years in his current role, four years as CEO of the Mental Health Council of Australia, seven years as CEO of the Alcohol and other Drugs Council of Australia, and seven years as CEO of Odyssey House Victoria. David Crosbie writes exclusively for Pro Bono News on a fortnightly basis, covering issues of importance to the broader not-for-profit sector.